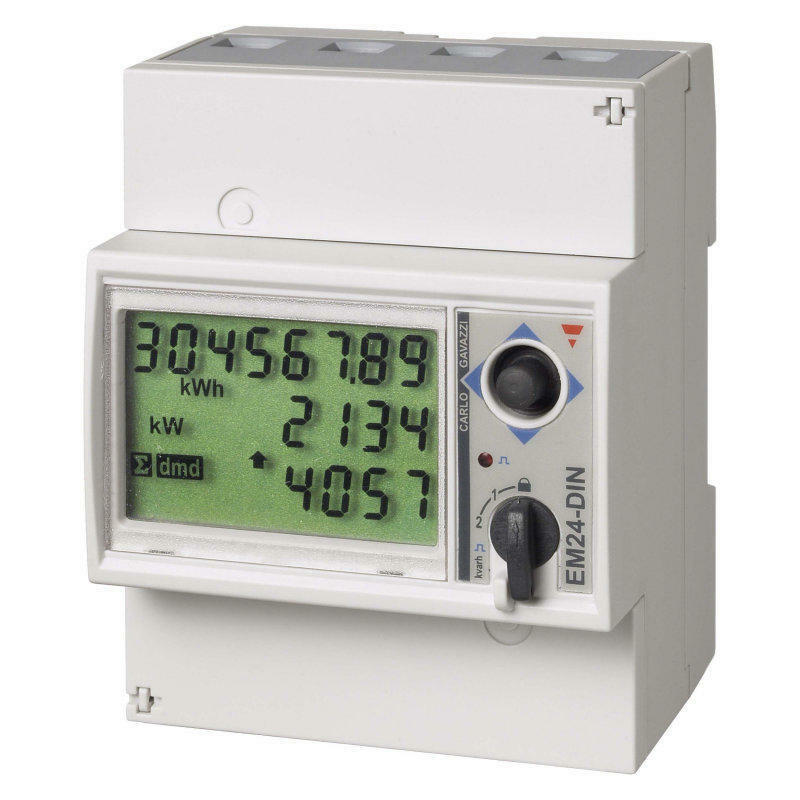 The Carlo Gavazzi EM24 is an exceptional MID approved meter packed with features. What sets this meter apart is that it can read up to 3 sub meters (e.g. gas, water and heat). 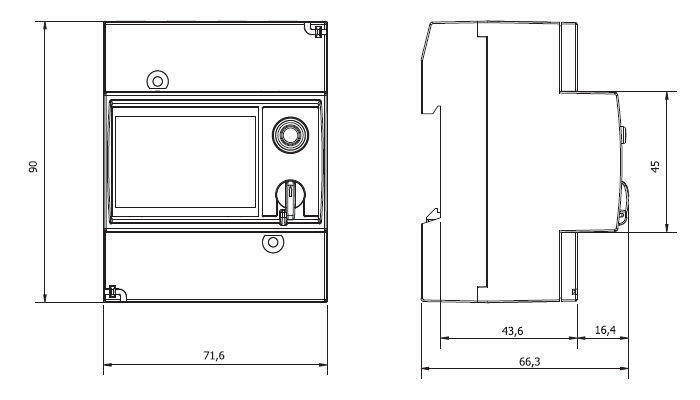 This CT/VT Operated, 10 Amp model (EM24-DIN.AV5.3.D.IS.P/FB) has a wealth of features including a range of 43 parameters which are displayed on the LCD screen. The joystick control ensures easy configuration and navigation. 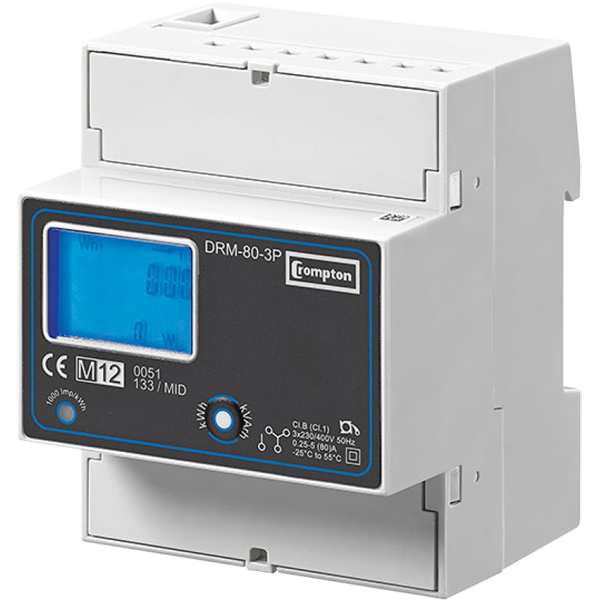 The compact construction means that this unit will use up only 4 modules when it is mounted onto a DIN-Rail. The EM24 records consumption on both direction. 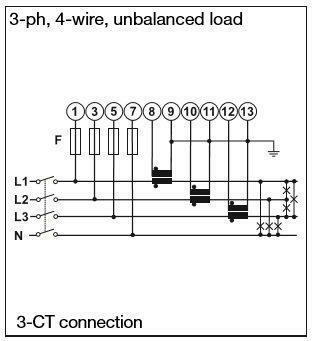 It measures line and system parameters for Current (I), Volts (V), Power (W), Apparent Power (VA), Reactive Power (VAr) and Power Factor (PF). It also displays frequency (Hz) and, system Energy (kWh) and Reactive Energy (kVArh) for total imported and exported energy and partial energy on up to 4 tariffs. 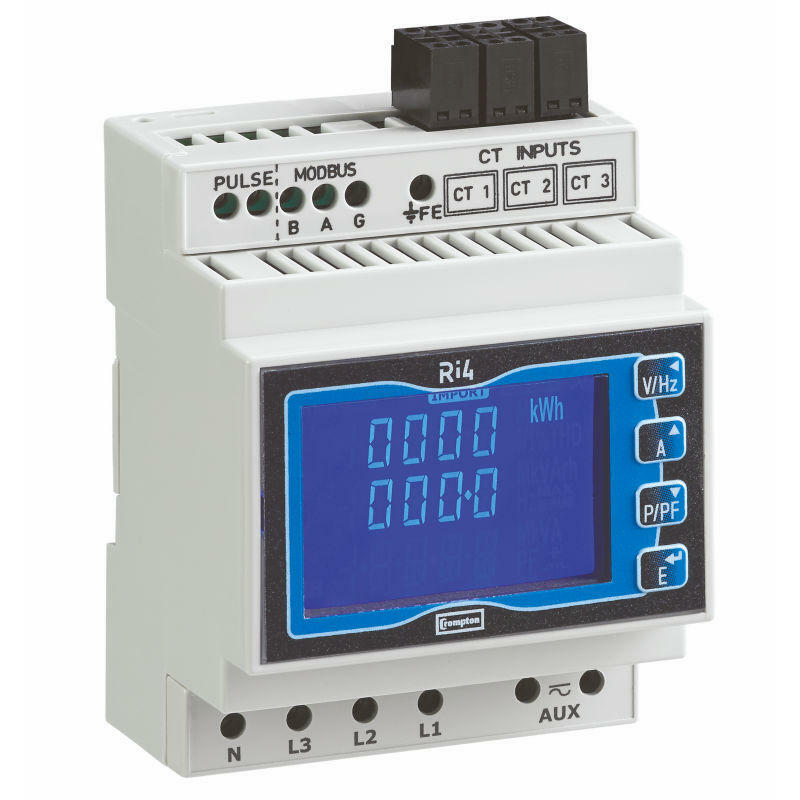 This model comes with an RS485 RTU-Modbus output for remote reading. 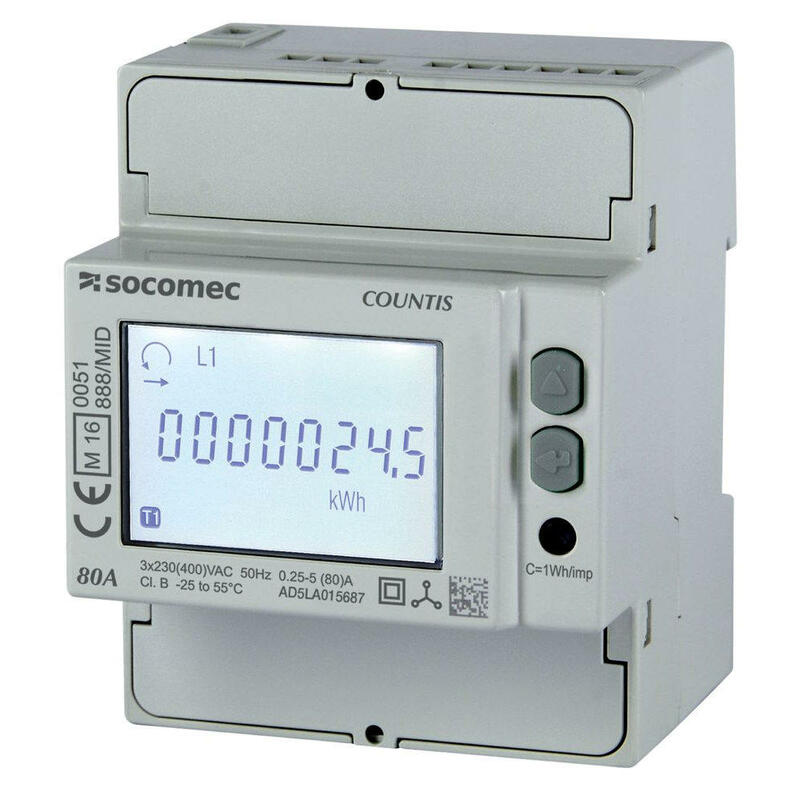 When set up with sub meters, all utilities can be read remotely.